O in short: Registrar Registry Manager is a complete registry management solution with a wealth of powerful features. It is intended as a complete and safe solution for administrators and power users for maintaining the Windows registry. Registrar Registry Manager is a complete registry management solution with a wealth of powerful features. It is intended as a complete and safe solution for administrators and power users for maintaining the registry on both the desktop as well as remote computers on the network. It offers the benefit of a one-stop registry management solution, a very rich set of tools which replaces a large range of separate utilities. It is safer than Regedit, the native Windows registry editor as this software offers registry backup and restore features as well as multilevel undo. The built-in registry file editor allows you to edit registry files on disk such as those which make up the systems registry image so you can use it to recover and repair broken Windows installations which may be even unbootable due to registry errors. This feature has been a life saver to many system administrators. 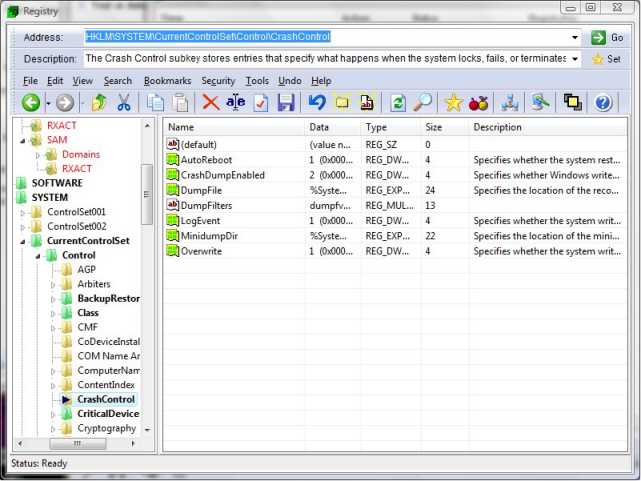 registry compare tool, a CLSID lookup utility and detailed property pages. Registrar also offers a registry defragmenter and several tools to clean out the registry so you can keep your computer running smoothly. If used with common sense, the registry file reference editor can be a great tool for cleaning your registry from unwanted entries. Security editors allow you to set registry key access permissions, auditing and ownership. It offers multi-level undo so all registry changes can be individually undone. The program comes in an attractive explorer-style interface which is highly customizable.